In (a late) celebration of the Queen's birthday, we're putting the spotlight on one of our favourite Winter comfort food - Shepherd's Pie. A simple dish of minced meat covered in mashed potato. It is so heart and tummy warming; the perfect meal to have on a chilly night. You can play around with the basic recipe to find the one that suits your liking. ... Try sweet potato in place of normal potatoes for a diabetes-friendly lower GI option. ... Try swapping half the mince to lentils to get extra serves of legumes for healthy bowels, heart, and blood sugar control. ... Grate in extra veggies like carrots, zucchini, and onion, to boost your vegetable intake - only 4% of Aussies are getting the 5 serves daily! Woolworths has Sweet Potato ($1.90/kg) and Golden Delight Brushed Potatoes (4kg pack for $4.90) on Special this week so your mash is sorted! You can also get some carrots (1kg pack for $1) from Woolworths and Mushrooms (500g pack for $5) from Coles to add to this mince mix. Would you like to know a little more about Shepherd's Pie? 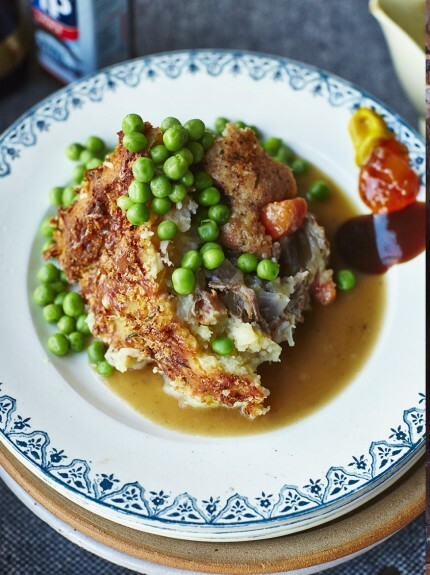 I came across this interesting article by Jamie Oliver "10 things you didn't know about shepherd's pie" . Don't call it a Shepherd's Pie unless it's made with lamb mince!